Get ready for 2018/2019 most significant events and carnivals in Thailand. Whether you are a Northern or Southerner, there is something for you! Whether you are traveling in a convoy of your friends or searching for fantastic family events in Thailand, you will surely find all these exciting cultural carnivals appealing as part of your list of events for 2018/2019 Thailand tours. Check the list of events below. Chiang Mai, popularly called 'The Old City' is adorned with stunning flowers as well as plants for entire three days that the event last on the two occasions. Guests troop in to watch many kinds of flora and fauna exhibition including locally cultivated orchids. Aside from the display of flowers, the festival also showcases a procession showing effervescent and colorful flowers while different dancers appear in different traditional outfits. In commemoration of the first day of the lunar almanac, the Chinese celebrate their New Year with dragon dances and fireworks inside the Chinatown, Chinese temples and any other place where there is a large number of Chinese. According to Chinese tradition, everyone put on red dresses because it is a propitious color. In commemoration of the Songkran Festival in Thailand, a national holiday is declared. This festival marks the start of another year for the Thais. The word Songkran derived from the Sanskrit work called 'Samkranti,' meaning 'Zodiacal Passage.' 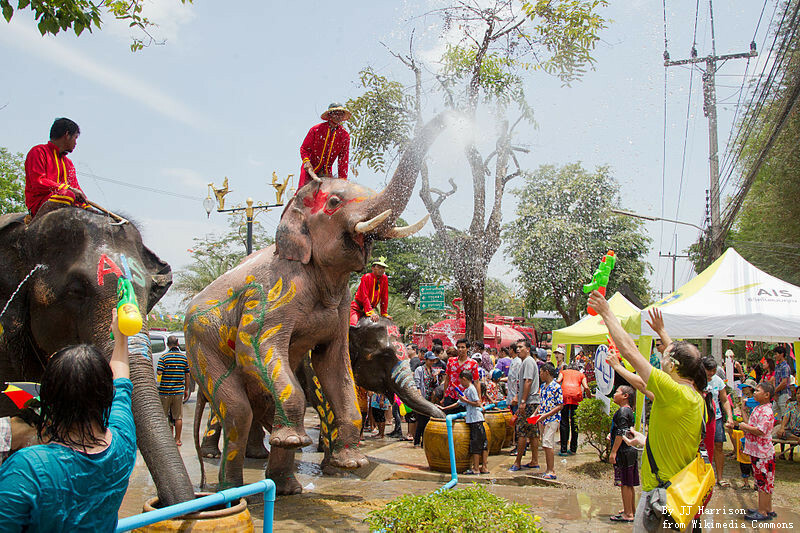 Songkran remains the most fun-filled of all the events and carnivals in Thailand. Songkran is also the largest water-combat festival across the globe; an event that generally set free even the shiest and most conservative of the Thais! Click and see more useful Travel Guide about Songkran (Water Splashing) Festival. The Songkran is a time when all Thais in diaspora return home to be with their relatives and family members to celebrate the Thais' New Year festivals. In the backdrop of the water flinging carnival is a spiritual consecration that involves sprinkling of water by relations. The water sprinkling is traditional Buddhist fiesta that is observed on the 13th through 16th of April every year except there is a change in that date by official government broadcast. Below are the dates for Songkran Festival from 2018 to 2020. Chiang Mai remains the spiritual source of the Songkran Festival, an event that lasts for five days. Anytime the event is going in; the entire city is filled with fun-filled activities that involve a high number of people including men, women as well as children. Equipped with water guns, squirt weaponries, and buckets of cold water, the people are all ready for a water fight! Every street corners and roads a potential water bucket traps during this water festival. The most famous place where these groups of people are saturated is the Ping River, the Thapae Gate, and the canal moats. Avoid swallowing any water as many fill-ups come from the channel. Use plastic nylons to keep your phone dry. Nobody is protected from a soaking so be prepared to get damp and take it with a smile at all the time. Do away with the riding of a scooter! Imagine having cold water thrown at you while on a fast bike, and falling in the process. In a nutshell, riding a motorcycle during this festive period is not safe! Some years back, a separate sky lantern released was hosted by a Buddhist faction at a Mae Jo temple; an event that is not related to the Yi Peng Lantern Festival. Starting from the year 2015, the Mae Jo Sky Lantern Release has been commercialized to allow tourists to get a ticket from US$100. December 31, the New Year Eve, which happens to be a public holiday, falls during the week. The events leading to the official countdown of the New Year in numerous locations across Thailand as well as Chiang Mai, Bangkok and Pattaya. 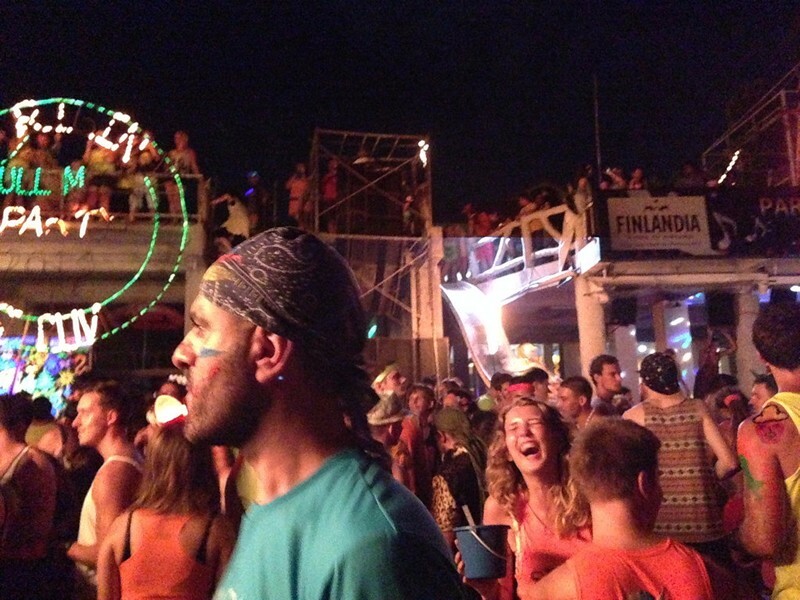 The Koh Phangan Full Moon Party has become a famous institution across the globe the ancestral home of the event remains the crescent bay of Haad Rin Beach on the southernmost slope of Phangan Island in Thailand. Over 12 powerful public address systems turn the whole of the 800-meter long beach into the most famous global open-air nightspot once a month, with an energetic festival-like atmosphere filled with prodigious music as well as vast numbers of liquor. This exclusive event is consistently listed on vessel lists as one of Thailand's indispensable experiences that every tourist's nut witness! More than 30,000 party lovers assemble on the famous sand strip to dine and wine in the radiance of the Earth's closest heavenly neighbor, throughout the entire night till dawn. Due to the amount involved in cleaning the whole place after such carnage, the local community implemented an entry fee of v to gain access to the beach on the night of Koh Phangan Full Moon Party. Majority of the people participates in the Koh Phangan Full Moon Party have a great and utterly safe time especially if they take appropriate safety measures. Generally speaking, acting with the same carefulness you would apply if you were going on a night out from your hometown should be adequate; nevertheless, you should consider adding extra precaution for those that you may know. Because of the alcohol-fuelled uproar involved, accidents are bound to occur because the Health & Safety measures are virtually absent at Full Moon Parties! But first aid stations are positioned along the beach and also available in several dispensaries in town. Similarly, police do search inbound vehicles and people for prohibited drugs. Likewise, numerous Hawaiian kitted police officers patrol amidst the crowd looking for drug criminals. Therefore don't be stupid and get yourself into trouble. Buckets are authoritative enough. Transportation of revelers with speedboats from Koh Samui can be dangerously congested; so make sure you wear a lifejacket. For safety purposes; stay in a Koh Phangan hotel. If possible, do not move around with valuables and if you can't help it, carry them in a skin-tight outfit as pickpockets are not unidentified at these occasions.